With his new sponsors, including Old Spice, The Rod Glove FLW Touring Pro, Greg Bohannan is working hard to "Smell like a Man, Man". We recently caught up with The Rod Glove FLW Touring Pro, Greg Bohannan, to check in on his progress with the FLW and to find out more about Hook, Line and Leader. Since Greg's passion for fishing started when he won a highschool fishing tournament, this same passion has been the driving force behind his successful fishing career and program that he created called Hook, Line and Leader. The program of Walmart Hook Line and Leaders, is where Greg works with young men and serves as a role model to help them become "reel" men. Through a series of stops along his FLW Tour, Greg works with the youth to help them become upstanding citizens of their community. Rather fitting is Old Spice and it's commitment to donate $1,000 per charity and also providing samples of its product to young men. Included in his entourage, is Manny the Fish, sponsored by Old Spice which serves as a symbol to the Manny Movement. Whether it's cleaning parks with the Highschool fishing teams or speaking to the youth, the principles and morales of Greg's faith and his foundation is what sets him apart and is the basis of his group Hook, Line and Leader. Hard work, disciplined investing, and a supportive family allowed Greg to leave his position at Tyson Foods as a Plant Manager to pursue a career as a full-time professional fisherman. His hard work has been paying off, literally, as Greg recently crested the $600,000 threshold in total earnings. Sitting currently at 13th place overall for FLW Angler of the Year, Greg seems to be doing well as a professional angler. 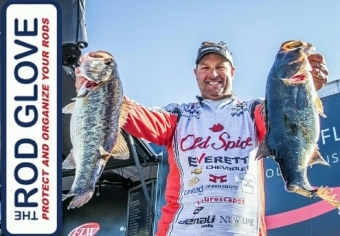 Greg has 5 years under his belt as an FLW Touring pro, with 3 wins and 14 top tens. He finished 3rd at an FLW Tour Majors event in 2008 on Beaver Lake, which is his home lake. Greg also provides a guide service for those that want to get out and get the cutting edge on tournament techniques and how to "pattern" fish.